Townsend has clocked up five top-ten results in UCI races. These include second in the 1.2-ranked Midden Brabant Poort Omloop, as well as ninth in the 1.1 Rad am Ring. 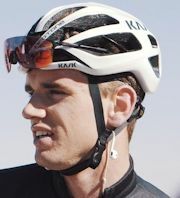 He was also points classification winner in the 2.2 Tour of Quanzhou Bay and mountains classification victory in the 2.1-ranked Tour of Almaty. 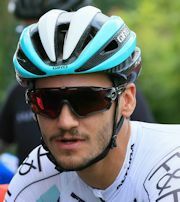 Stedman similarly had a strong 2017, netting a stage win and overall success in the Tour of Quanzhou Bay. Rose Davies took the British junior championship title in 2017. “The team’s objectives is to walk away from the race with as many stage wins as possible while going for a GC placing with either Max or Dexter,” says sports director Simon Holt. “We are looking to better our best GC placing in 2016 of ninth with James Gullen while under the name of Pedal Heaven. As part of its build-up, the team will ride the Tour of Yorkshire plus Dutch races such as the Ronde van Overijssel and the Profronde van Noord Holland. Joe Evans is the rider with past experience in the Rás. He competed twice in the event and was seventh on stage four and 19th overall last year. Lampier, who participated in the Rás multiple times during his career, states that Evans will be the protected rider. 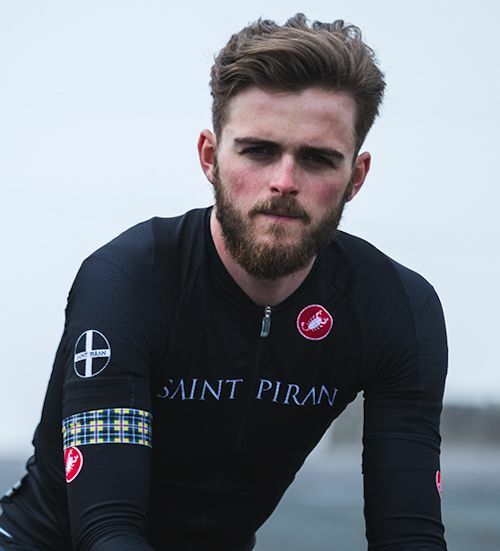 The fourth member of the team is Northern Ireland rider and popular blogger Cameron Jeffers. “He is keen to show the Irish public what he can do on and off the bike,” says Lampier. The remaining team rider will be confirmed at a later date. The team will do races such as the HSBC Chorley GP, then the Rutland Melton CiCLE Classic, the Tour of Ulster and the Lincoln GP as part of its build-up . More international teams will be announced soon. This year’s Rás Tailteann totals eight days and 1168.7 kilometres in length, and is ranked as a 2.2 event on the UCI’s international calendar. It will begin in Drogheda on May 20th. The race will feature four gruelling category one climbs plus 30 other categorized climbs, as well as stage finishes in Athlone, Tipperary, Listowel, Glengariff, Mitchelstown, Carlow, Naas and Skerries. The jersey and gilet feature the names of the Rás champions dating back to the first event in 1953. Proceeds will contribute to the running of the event.